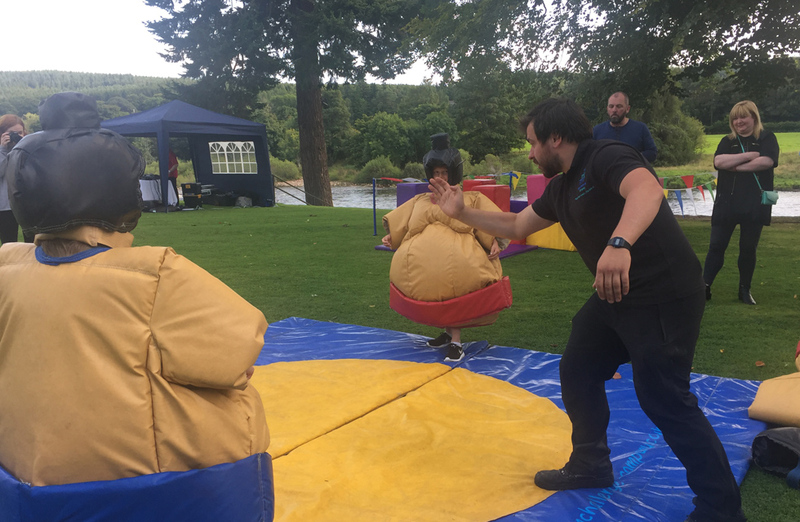 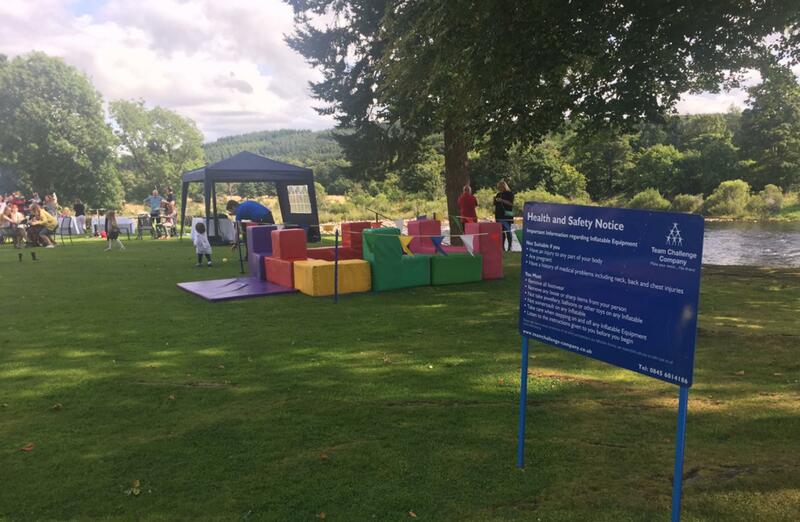 Team Challenge Company had the absolute pleasure of partaking in the event organised by PRime Events Management for their client in the beautiful Banchory Lodge Hotel. 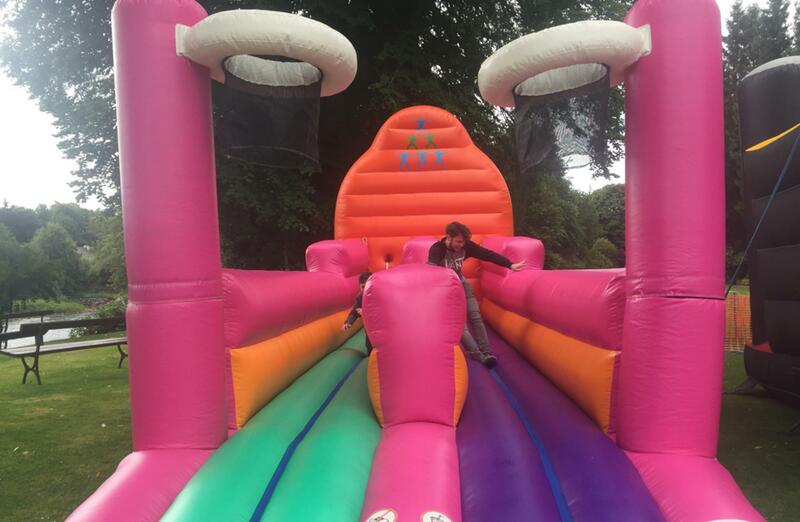 After we set all our attractions up, the clients began to arrive. 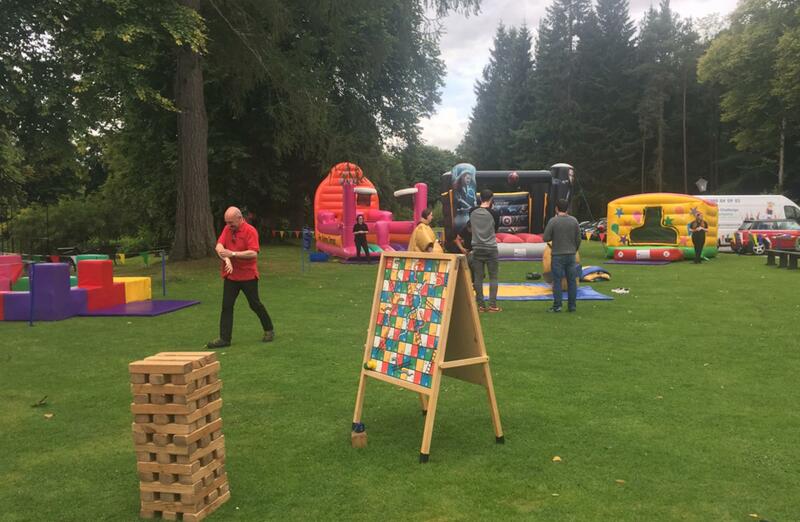 First were the ladies and gentlemen who had organised the Fun Day/Barbecue for their company based in Aberdeen. 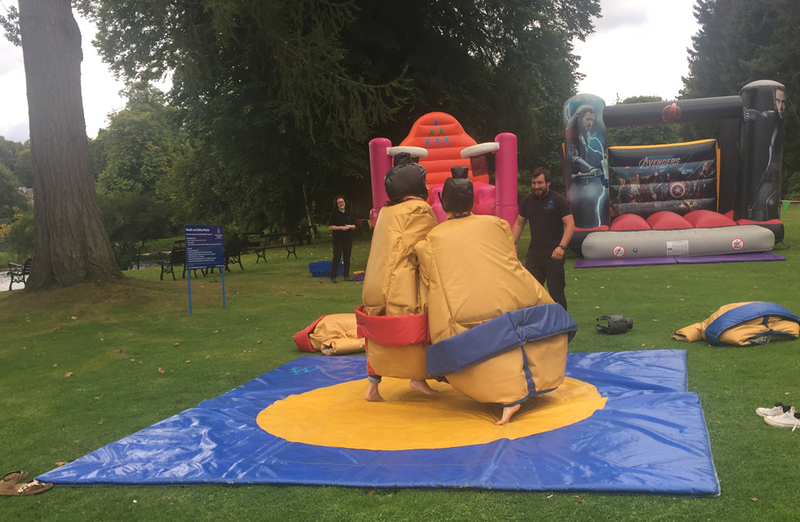 Before anyone was around to witness the competition, they had donned the Sumo Wrestling suits and flew into battle with each other! 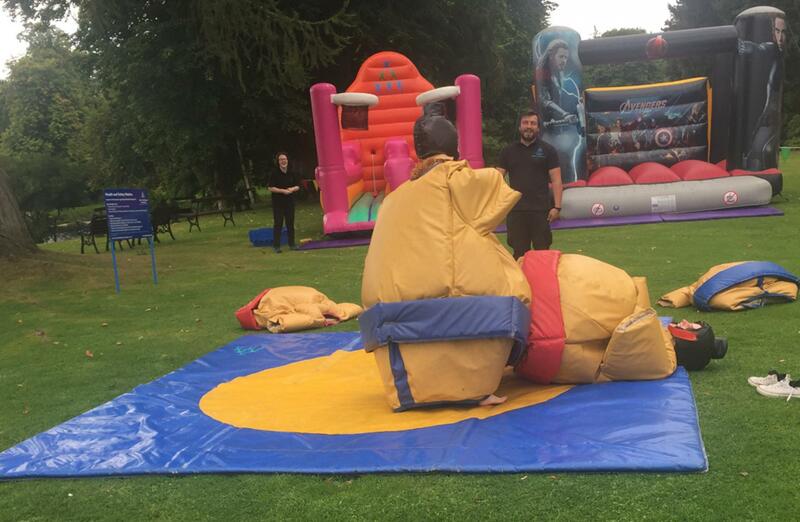 Obviously any office based grudges were sorted out within those three rounds! 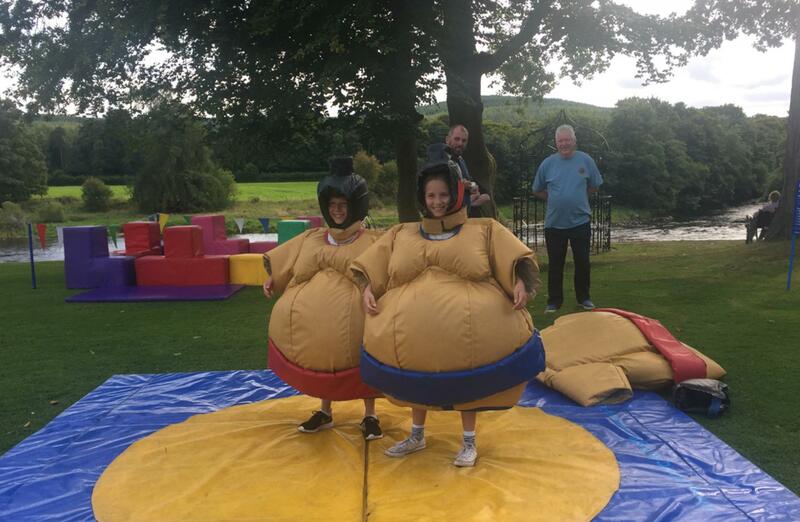 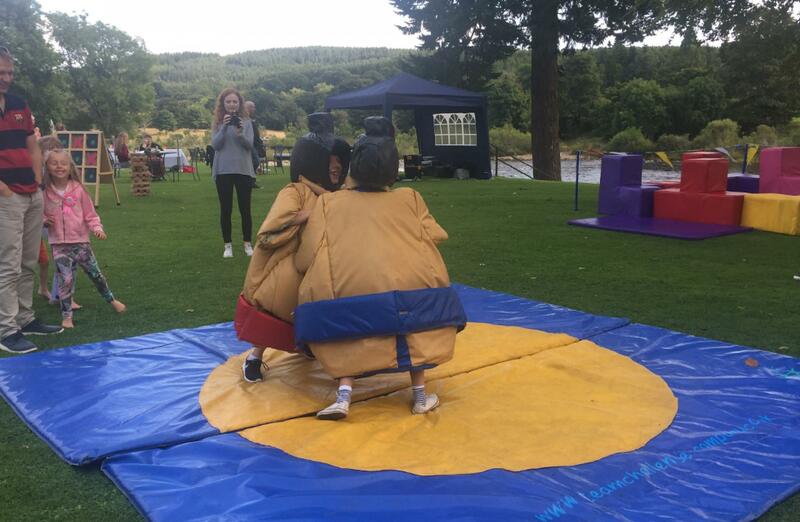 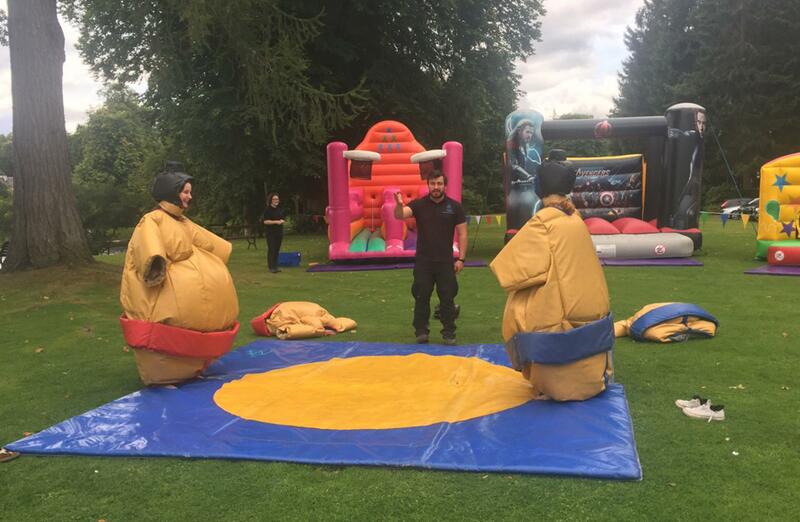 The other patrons kept the Sumo suits busy throughout the event and most commented that it looked much easier than it was! 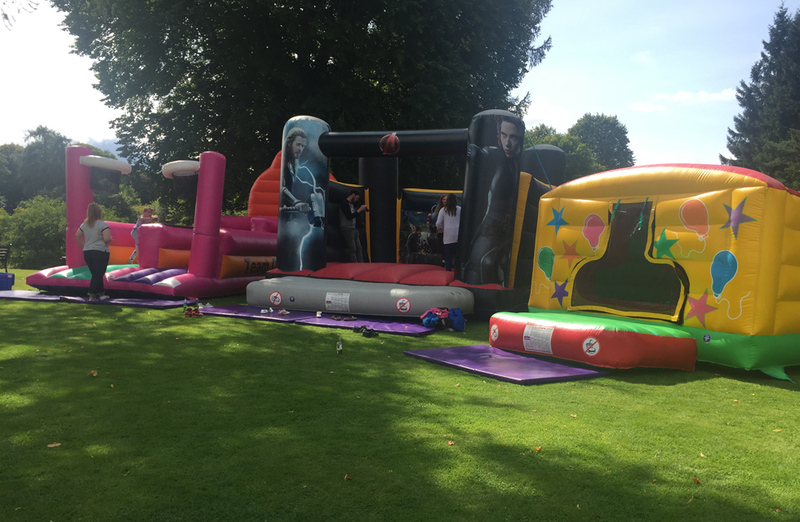 Our bungee run was a huge success as well, proving too tempting for many of the children (and adults!) attending the festivities. 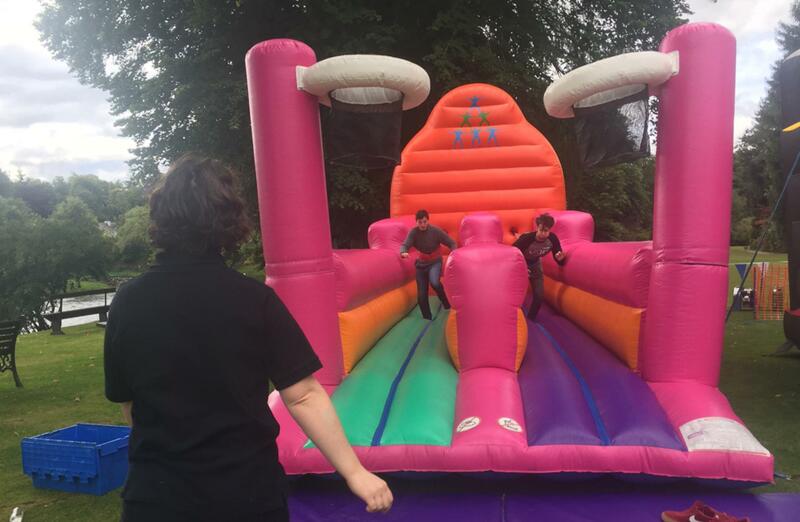 More than a few were strapped up, handed a ball and attempted to score a basket in the attached hoops with the insatiable force of the Bungee wrenching them back, to great laughter and applause from all of the onlookers! 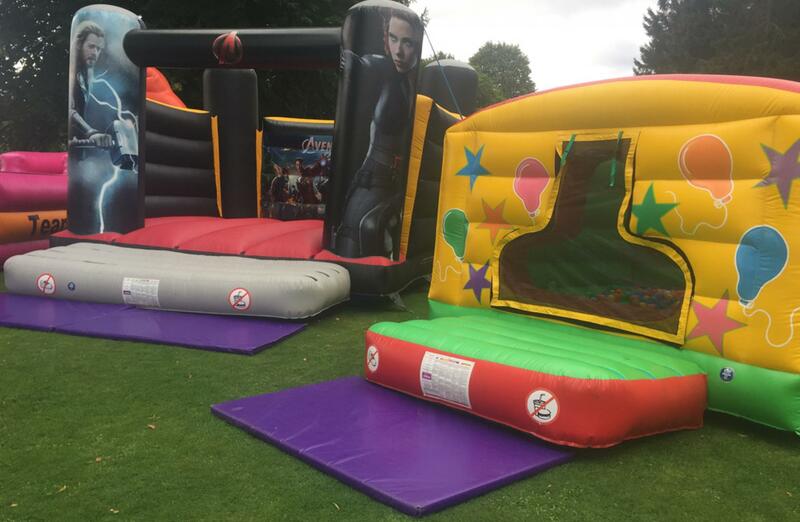 The bouncy castle and ball pool gave a safe area for the younger visitors to enjoy, not to mention our soft play area for the toddlers. 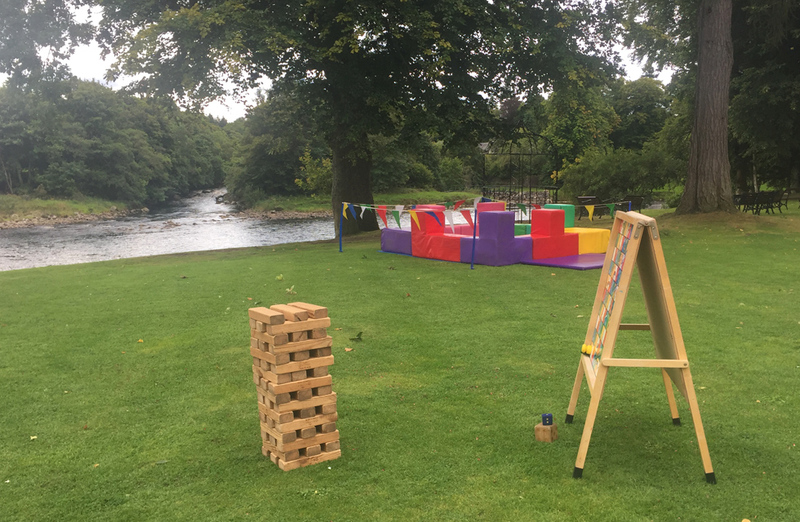 Our face-painting station was also a great success with the DJ for the event commenting how beautiful the butterfly on a young girls face was, while another child was painted like Harry Potter! 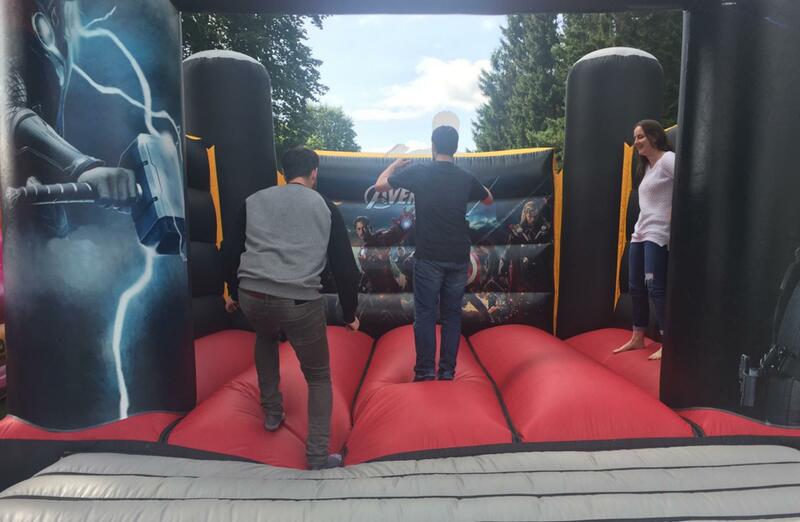 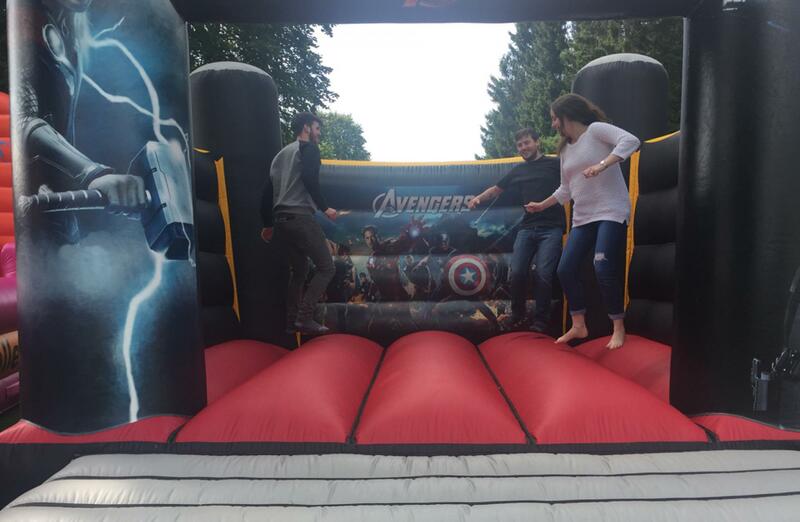 Our experience at the Banchory Lodge with PRime Events Management was a very relaxed and fun filled day, with all of the members of staff having a wonderful time from beginning to end. 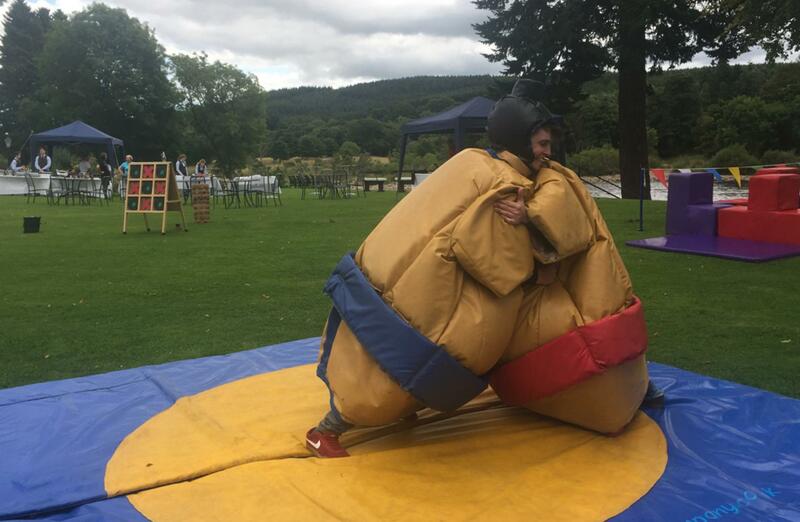 Great day at Banchory Lodge Hotel with PRime Events Management, hope to work with you all again soon!